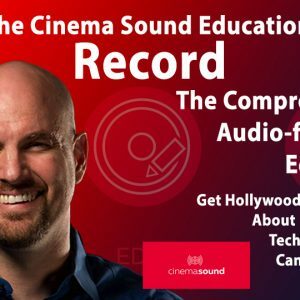 After learning the information in the 85+ hour MZed Pro Member Cinema Sound course, you’re one of the elite masters of creating powerful Hollywood immersive media for audiences. 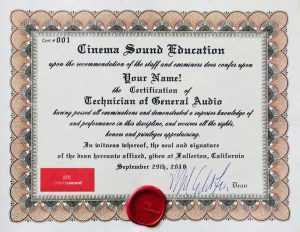 Why not certify for all to see by investing in the Cinema Sound General Audio Certification Exam. 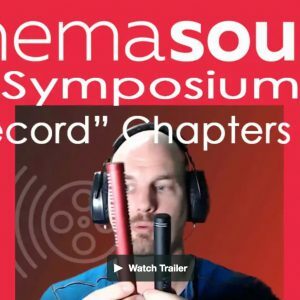 This exam covers all of the aspects of the course and will insure that you’ve been able to understand the general aspects of recording, post production sound and mixing. With over 175 questions and a dozen audio excerpts to examine, you’ll have a great time demonstrating your understanding of the course. • Physical Certificate signed by Mark Edward Lewis with a unique certificate number authenticating it along with the wax seal of Cinema Sound. 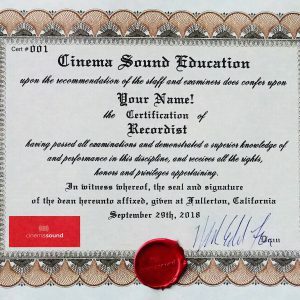 • The posting of your name as a “Certified Cinema Sound Member for General Audio Production” on the Cinema Sound website for all to see – you may even include contact information if you’d like visitors to contact you about employment. Passing grade is 80%. 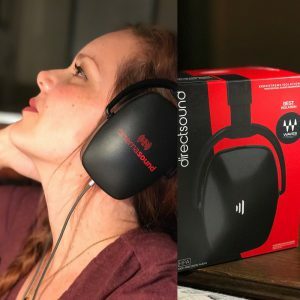 There is also a 20% Extra Credit portion of the exam which entails mixing a short multimedia piece in any DAW of your choice (comes with Adobe Audition files and OMF). If you don’t pass the first time, you’ll be shown the answers you missed, but not the answers themselves. You can take as much time as you need between attempts. There are no negative points possible for the Extra Credit portion, so you have nothing to lose there!